Combining beauty and fun, Soulflower is India's leading homegrown brand of natural aroma products and pioneer of the unique concept of Spa@Home, which has become a revolution today! Soulflower offers Tempting, Exciting, Natural, Handmade, Vibrant spa products that transform your hectic urban life into an oasis of peace and calm. 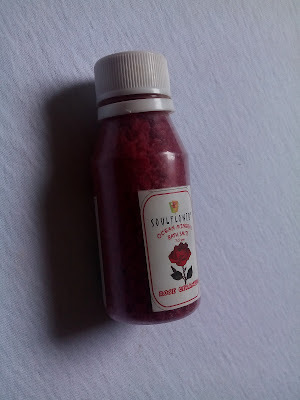 Rose Geranium Bath Salt has a distinctive warm, intense and immensely rich fragrance which makes you feel like royalty. Rose Geranium’s soothing properties is great for sensitive and delicate skin. Rose Geranium smells like a cloud of roses which calms your body and soul. 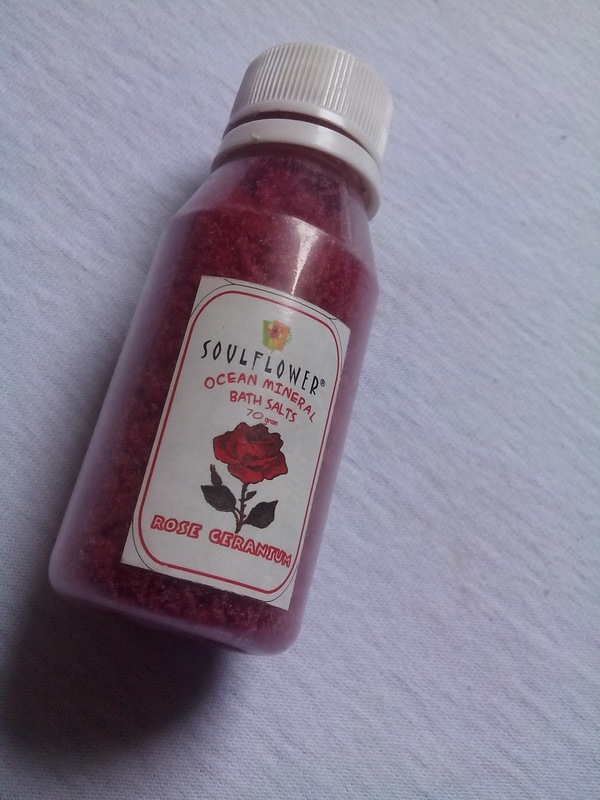 The Soulflower Aroma Bath Salt comes in a transparent plastic bottle with a white screw cap. Rosehip essential oil, Geranium essential oil, Thai Herbs, Olive Oil, Vitamin E, Sodium Bicarbonate, Sodium Borate, Epsom salt, Sea salts, Permitted Colorings. 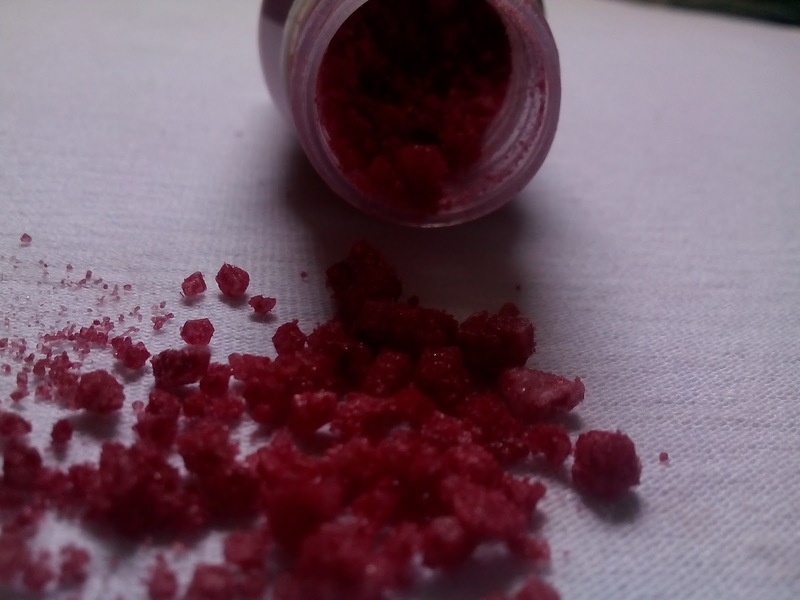 Add half to one capful of Rose Geranium Aroma Bath Salt in a bowl of water and dip your feet or hands in it. Add just 2 capsful of Rose Geranium Bath Salt in your warm bath for a well balanced nutrition & moisture for the skin. 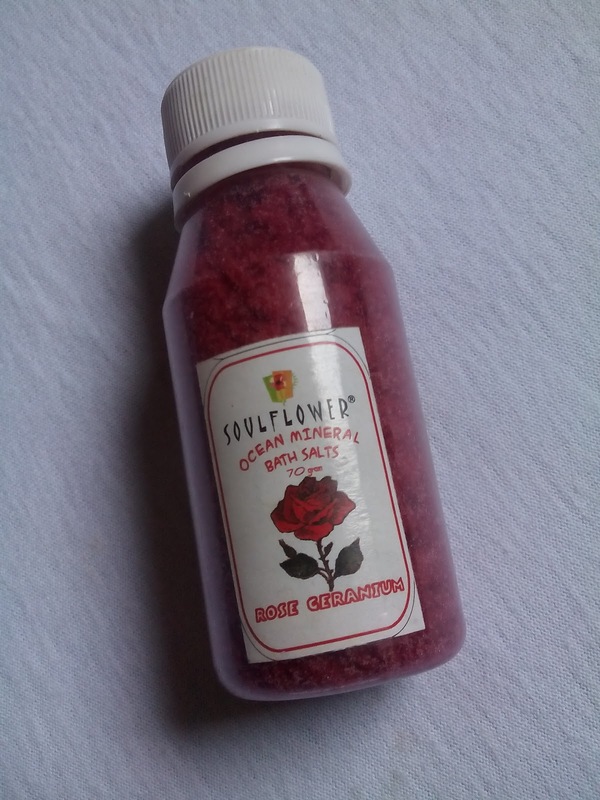 Dip a towel in a tub of bath salts & hot water & place over aching muscles. The fragrance is so lovely it stays on the body for a while. 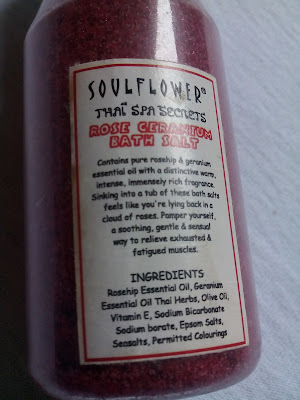 It gave me a very soothing and relaxing feeling as if I had been to a Spa. It not only makes your mind relax but also relieves the muscle ache.